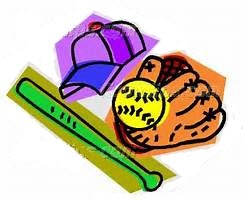 Registration for the Classie Lassies 2019 Spring Recreational Softball season is open! Please click the link below to access our online signup. Rec ball is a great way for girls to learn the fundamentals of softball, be on a team, and make new friends. Your daughter does not have to be an experienced player to play rec ball. Our coaches will teach the girls at all levels about the fundamentals of the game. This league is all about fun. There will be an $10 discount early bird registration period until February 4th 2019. Registration will be open until March 7th, 2019 before late fees will incur. There will only be ONE NIGHT of in person registration. If you do not want to sign your child up online, you can register in person at the North Greenbush Town Office Annex Building on Main Ave in Wynantskill on Thursday January 31st from 6:00-8:00PM. We are in need of managers and coaches for the upcoming season. Please sign up to be a manager or coach when registering. Flyers will be sent home with children from school. Please keep a look out for them. The season will begin (weather permitting) on April 22rd and Opening Day will be April 27th. This is always a fun day for the kids! Please mark your calendars! Thank you all and we look forward to seeing you this Spring.